Is Greece our future? No matter how you spin it, the failure of Greece is a failure of leftist economics where Greeks ran out of someone else’s money. The flight from reality was present in their last vote, but it is also a failure of the European Union since the EU has become a super administrative state, and the flight of reality goes as high as Brussels. So the failure of Europe is two-fold, the first being that many European nations prefer an extensive welfare state, but eventually the bill has to be paid. The Greeks never showed any inclination to really cut their welfare state. As for Greece, the heavy hand of local governance was obvious as government spending essentially became what was left of the economy. The debt to GDP ratio was 177% which means that Greeks have twice the debt than what they produce on a daily basis. Greeks retire earlier than many of their Eurozone neighbors and they spend 18% of their GDP on public pensions, which is more than three times than the United States. Much of Greece’s spending is not dealing with the least fortunate within their midst but to their administrative state that benefits government workers. 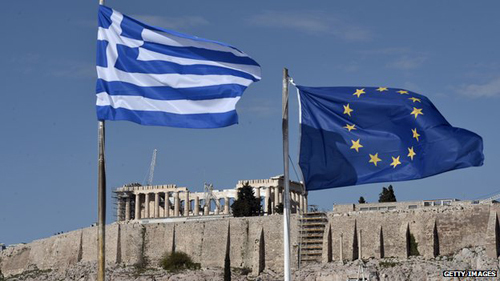 This debate on the fate of Greece matters since many leftist economists like Paul Krugman and Thomas Pitketty supported the Greece vote of "No" to the European Union. 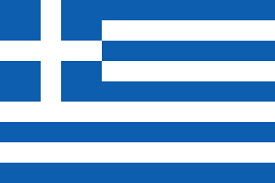 As one of these economists noted, “The no vote gave Greece the chance to grasp its destiny in its own hands even if it means a future not as prosperous as the past.” For many leftists, Greece is a symbol that can’t be spun: they really don’t care if the average Greek is prosperous or not as long their ideals are not to be blamed. A second part to this is the failure of European Union. 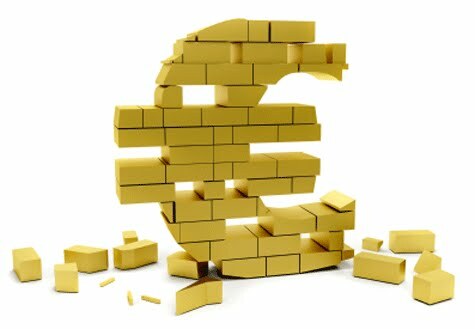 The Euro was flawed from the beginning since European nations were under a single monetary unit but each nation had control over their own fiscal policy. This would have worked if the nations were similar in economic prospect and were willing to follow the European Union's fiscal goals. However, they weren’t similar and Greeks never truly disciplined their fiscal plan. However, the heavy handed European Union has to be blamed since the Brussels bureaucrats have never believed in the right of Europeans to decide their own fate, especially if it went against Brussels. For many in Greece, their vote was a vote for their own independence, opposed to voting for or against a specific economic plan. The European Union was a dream of European unity, but that unity is starting to slip as many are revolting against the Union. From the far right National Front to the far left Podemos cheered the Greeks' vote and Greece is forced out of the EU. This may encourage these third parties to push for their country to say good bye to EU. This is as much a nationalist issue as opposed to a Right/Left issue. It's populism and revolt against the European ruling class in addition to economic frustration. As one pundit noted, Greeks wanted a five-star welfare state with a two star economy; but with Puerto Rico on the brink and many blue states like Illinois not far behind, this is a worldwide problem. The left's economic model has been imploding now for the past decade as the Obama “recovery” has hidden the decline in the Middle Class income and the collapsing pension plan of many states like Illinois adds another economic albatross that could strangle our own economy.